Launch of three GLONASS satellites on December 25 has met the terms and schedule of a presidential initiative to have 18 of the Russian GNSS space vehicles (SVs) on orbit and operational by the end of 2007. The three modernized (GLONASS-M) spacecraft were lifted into GLONASS Orbital Plane 2 from the Baikonur launch facility in Kazakhstan at 7:42 p.m. GMT on board a Proton-M launcher. The new satellites will occupy antipodal slots 9/13 and slot 11 with frequency channels -2, -2, and 0, respectively. Antipodal spacecraft operate on opposite sides and the Earth and, so, can share the same frequency. 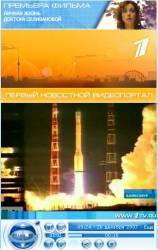 The spacecraft occupying slot 11 will share channel 0 with GLONASS SVN716 in slot 15. The GLONASS constellation now has 15 operational satellites, with 13 transmitting navigation signals as of December 26 and two others temporarily off the air. Three other older satellites are currently in the process of being decommissioned. With the latest launch, Russia has met the first phase of the schedule proposed by President Vladimir Putin in December 2005. That plan calls for 18 operational satellites in orbit by 2008; 24 SVs (21 operational and 3 on-orbit spares deployed in three orbital planes) in place by 2009; and a level of performance matching that of the U.S Global Positioning System by 2011. 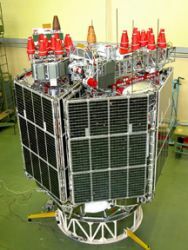 Another six GLONASS SVs are scheduled to be added in 2008, and the first two improved GLONASS-K satellites will be launched in 2009, according to Russian space officials. A total of 9.88 billion rubles ($380 million) was allocated for GLONASS from the federal budget in 2007, and 4.7 billion ($181 million) in 2006.